An overview of the methodology of using the Padagogy Wheel. There are prompts or interconnected gears to check your teaching from planning to implementation. The Attributes Gear: Can graduate attributes and employable capabilities help define excellence in context? The Motivation Gear: Is it practical that you try to keep the students motivated? The Blooms Gear: How do you design your learning objectives to help students think critically and be creatively. 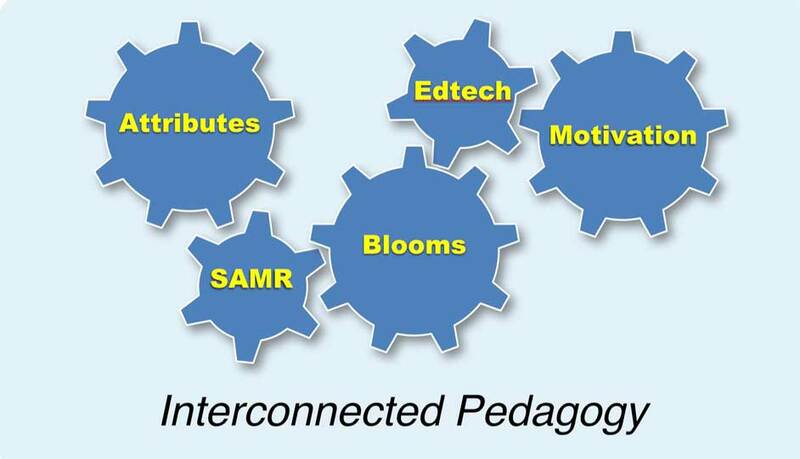 The Technology Gear: What technology do you choose to enhance your pedagogy? The SAMR Model Gear: How do you design the use of your tech for best practice? i WOULD LIKE TO ACCESS YOUR VIDEO CONTENT AS I AM IN THE PROCESS OF NEW COURSE DESIGN , I AM TRYING TO FOCUS ON A MORE STUDENT CENTERED APPROACH .